I bet you’ve done this before.. But, when it comes to actually DOING it, you take NO action. It’s probably on your mind countless times throughout the day, you may even set aside time in your schedule to do it, but instead of doing it, you avoid by distracting yourself with things like..
Netflix binging, socializing, cleaning, eating, sexting (yes, I know, it’s tempting! ), or pretty much anything except the ONE thing you actually want to do. I know how lonely and isolating it is, when you know you’re made for more than the life you’re living. The general word for this is procrastination, but I believe, it goes much deeper than this. You see, when your heart desires something deep within your soul, you know it’s important. It’s not something you can mess around with, and heaven forbid you fail while trying. It scares the sh*t out of you, and therefore, you’re stuck in paralysis, without doing anything about it. Instead, you self sabotage, or tell yourself limiting things like, “I don’t deserve to do this,” “I’m not good enough,” or “I’ll probably fail, so what’s the point?” — to keep yourself safe. The problem with this, is that you’ll never know the sweet feeling of actually becoming who you were born to be. To share your special gift with the world and make a real impact. Not to mention, it’s really lame to always play it safe, and then die with all your dreams still in you. Sorry, that was blunt, but don’t you agree?! The good news is, you still have time. Your heart’s still beating and it’s possible to get past the fear that’s stopping you. DO YOU CARE? Ask yourself if you actually care about achieving your goal. The truth is, if it doesn’t really matter to you; you won’t do it. You won’t put in the work, time, and sacrifice that are required to make your dream happen. * Do this: picture your life one year from now and you’ve take no action on this goal. If the feeling you’re experiencing is gut wrenching (and worse that the fear you’re facing now) — your goal matters! TAKE ONE STEP. Do something about it (anything!). Even if it feels small, it’s a step forward, and it will feel good. It’ll get you from stuck to action, and will start your momentum. Now it’s your turn, what’s ONE thing you want to start now? If you know someone who could use some tips on taking action, share this post. Thank you for being here and choosing to be you, with confidence. How to boost your CONFIDENCE in 5 days! In this free course, you'll gain clarity in what you really want and the confidence to go after it. Stay connected! Never miss my weekly inspo, tips and bonuses. 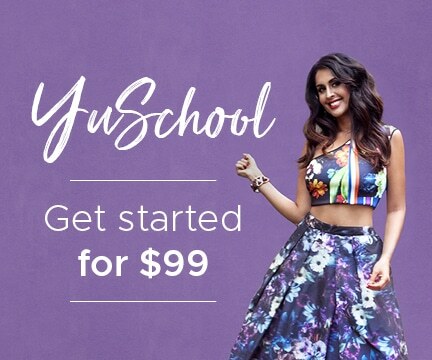 YUOLOGY Studies International © 2019. Founder, Tonia Mattu. All rights reserved. Know what all badass bosses have in common? Confidence. 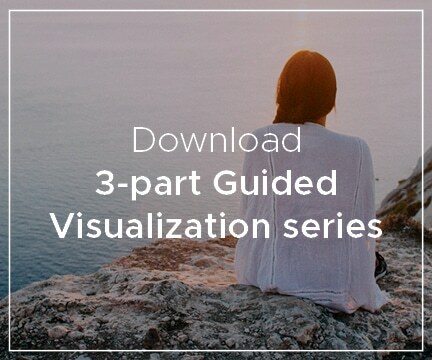 Download my FREE Guided Visualizations. Gain clarity in what you really want and the confidence to go after it.